Summer is in full swing in Vancouver and everyone is taking advantage of the sun-filled days including the fabulous mural artists! As Vancouver continues to evolve as a city, I have noticed more and more street art (City Approved and Supported) popping up! I personally love the murals as they add charm and richness to our already stunning city! To kick off tomorrow's Vancouver Mural Festival, thought I would start sharing some of my favourite murals around Vancouver. Not only are these murals stunning to admire, but also make for the perfect photo backdrop. I am sure you have seen Ola Volo's mural along South Granville street in your instagram feed. Ola Volo recently completed this piece around 13th and South Granville in Vancouver on the side of the William Sanoma building. This is one of many murals Ola Volo has done around the Lower Mainland. 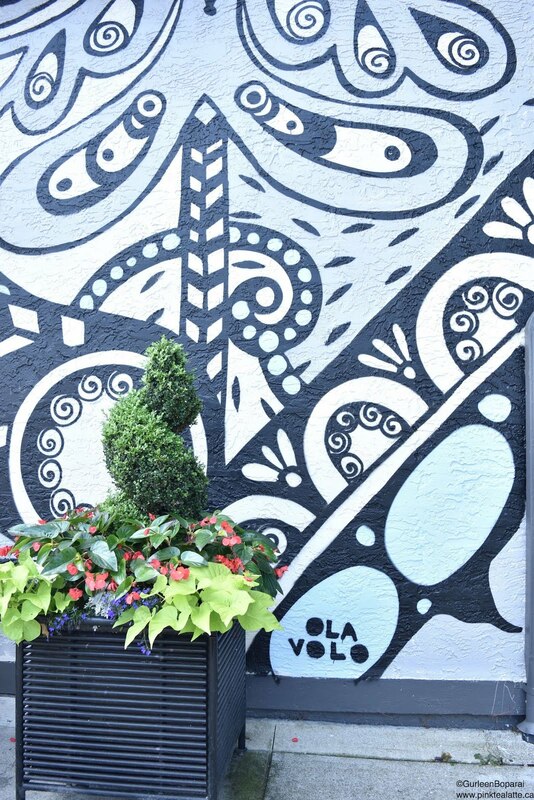 Not all of Ola Volo's murals are accessible to the public as she has completed several commissioned murals inside private residences and office buildings. The Vancouver-based artist draws on folklore and multiculturalism in creating her large murals that are rich with symbolism and elaborate forms. Ola loves to use nature and as well as animals and people in portraying a diverse story. 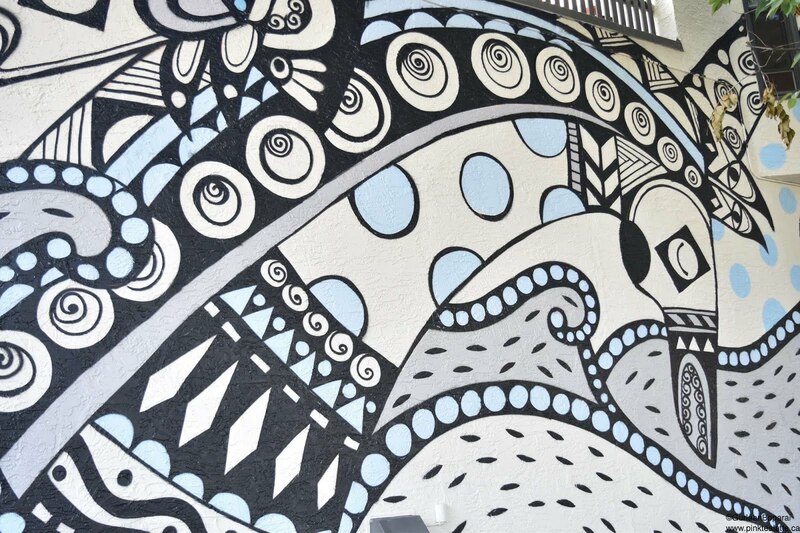 I love how Ola decided to keep her colour scheme simplistic for this mural by only using two shades of blue, black and an off white. As well as the interesting forms and shapes she used in creating the giant horse heads. Unlike a lot of mural painters, Ola rarely uses spray paint. She creates her bold imagery with paint brushes and stencils. The mural takes up the entire side of William-Sanoma's building and I actually could not really fit it into one picture. That is how big it is! I think this mural is also going to look really cool during the winter time when it snows because of the cool colour palette. 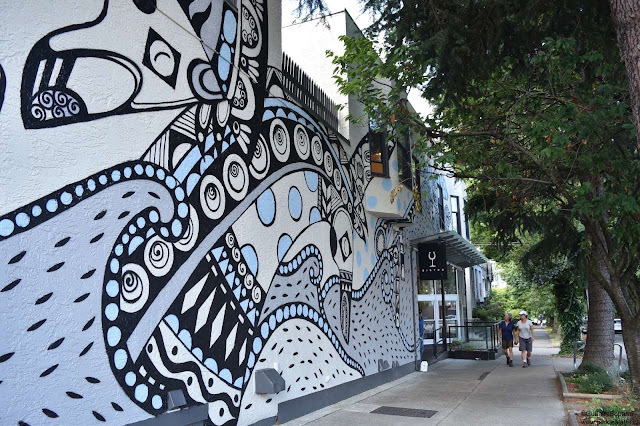 Be sure to check out Ola's mural as well all the other murals by local artists around Vancouver. I am going to continue sharing some of my favourite murals and hopefully if I travel this year, some outdoor artwork in other cities!